Most locks work by having a part of the lock go from the door to an opening in the wall next to it; when you turn a key, it pulls this part of the lock back into the door itself and you can enter. While this works for most doors, a magnetic lock may be a better option for some. 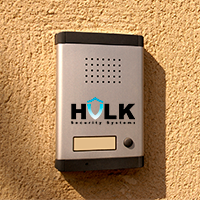 Hulk Security Systems provides a range of door security solutions for New York. With a magnetic lock, there is no bolt or part of the lock that slides from the door to the wall. Instead, the door is sealed or "stuck" to the wall because of a magnetic field, just like when two magnets get stuck together. When the door is locked, this activates the magnetic field and seals the door to the wall. When the door is unlocked, this deactivates one of the magnetic fields so that you can pull the door away from the wall.